AICN COMICS Q&@: Justin Burkhardt chats with AfterShock Comics’ Editor-In-Chief Mike Marts! @’s by AfterShock’s Mike Marts!!! Justin Burkhardt here. 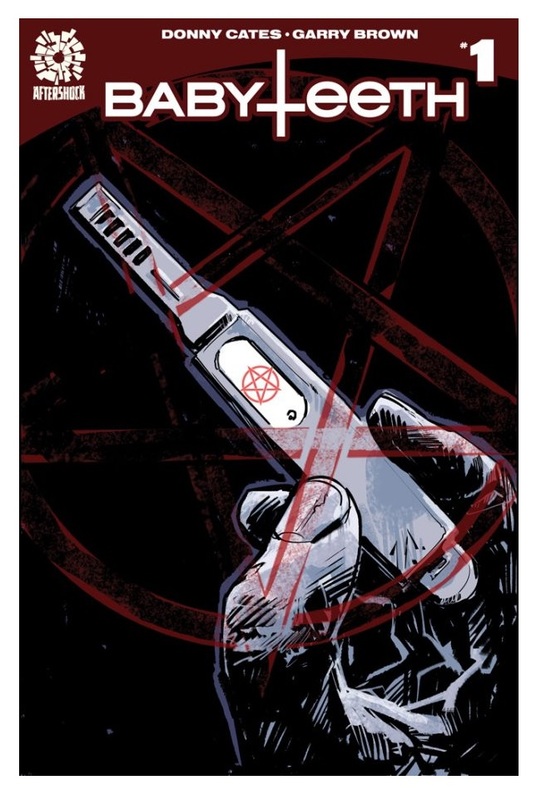 AfterShock Comics is one of my favorite indie publishers. 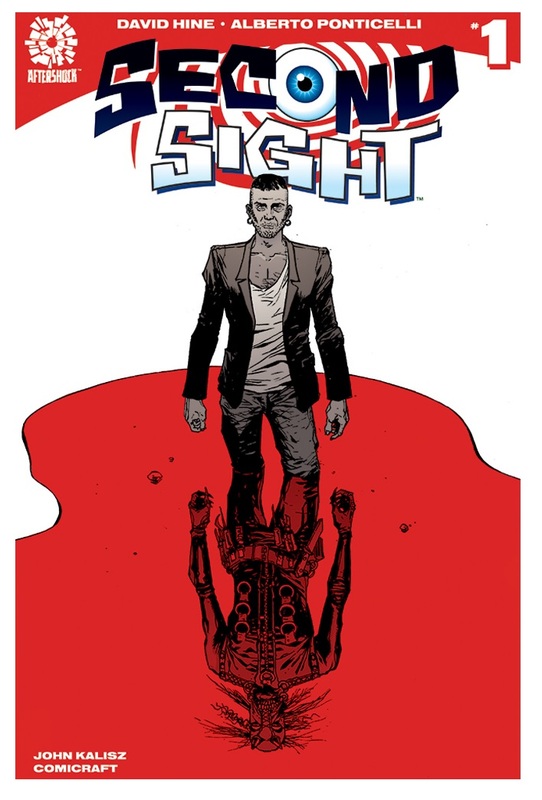 After only being around for two years, they’re already giving Image Comics, the other big “creator owned comics” publisher, a run for their money. The sky is the limit for this young publisher, and comic book fans across the globe should be keeping track of them. Recently, I was able to speak with AfterShock Comics Editor-In-Chief Mike Marts. Marts has over 20 years of experience in the comic book and entertainment industry. During stops at DC Comics and Marvel Comics, Marts spearheaded some of the most popular comic book franchises including BATMAN, GUARDIANS OF THE GALAXY, and X-MEN. I thank Mr. Marts for taking time out of his day to speak with me, and I hope you enjoy our conversation! 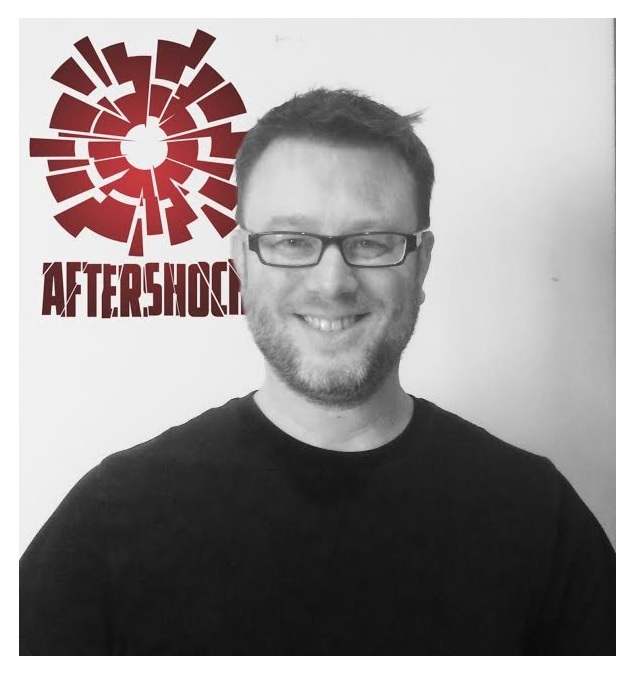 JUSTIN BURKHARDT (JB): You made news when you left Marvel in 2015 to help start Aftershock. Tell me how the transition’s been from the bigger publishers to an upstart like AfterShock? 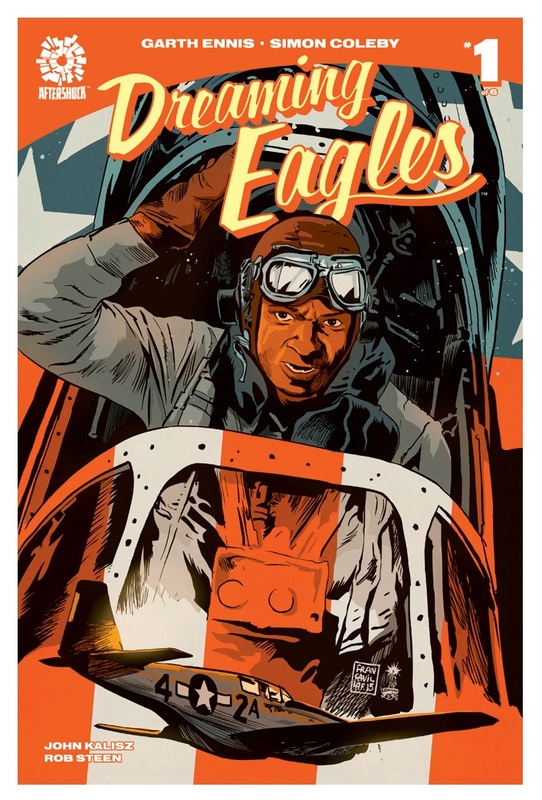 MIKE MARTS (MM): The basic mechanics of putting together great comic books and working with talent, everything about that has remained very much the same. It’s different going from a very large company, with many different departments and a lot of different people in all those departments. Compared to what we’re doing, which is building a company from the ground floor and assembling each person and each department piece by piece. And kind of starting small and expanding outward from that. JB: As a new publisher, what goals did you set for yourself in the first two years? And do you feel that you’ve reached these goals? MM: The goals that we set out to accomplish were to attract and target some of the best creators in the business and have them come and tell their best stories with us. I feel that we’ve certainly met those expectations and those goals, and even surpassed them quite a bit. Our launch included big names like Garth Ennis, Brian Azzarello, and Jimmy Palmiotti & Amanda Conner. We felt that was a strong beginning, but we certainly didn’t stop there. We kept going and have only continued to attract the best people in the industry to come do other projects with us. JB: What goals do you have as a company going forward? MM: A lot of it involves maintaining the feel and the overall plans of AfterShock. That means still acquiring the best ideas out there, not only the best creators in the business, but also people we designate as rising stars and have the potential to become the superstars of tomorrow. When we launched back in 2015 we had a few titles, 4 or 5, and at this point we have somewhere between 9,10, 11 titles we put out each month. We don’t plan to go much higher than that at the moment. We’re not concerned about overtaking market share or occupying a huge part of the pie chart. Our goal is more quality based than content based. As long as we can keep producing quality books with the best creators, and have readers/retailers equate the Aftershock logo with high quality, then we will have reached our goals. That’s pretty much the focus now that we’re two years out from the launch. JB: For a publisher that’s only been around two years, you’ve had quite a few comics that have been pretty buzzworthy. ANIMOSITY for example has gotten a lot of attention. With movie/tv folks like Jon and Lee Kramer on staff, are there any plans to bring some of your popular comics to the big or small screen? MM: That would certainly be a great thing to happen. When we set out and initiate a project, our primary focus is creating a great comic book. In this day and age however with so much potential for studios and production companies recognizing the great storytelling talent that comes from the comic book industry, it’s always something that we are aware of and keep on top of. To have one of our great properties turned into something for film, television, a play, or a video game would be the proverbial icing on the cake. We fully expect something like that to happen. With such great properties, like you mentioned ANIMOSITY, and other breakout hits like PESTILENCE and our upcoming UNHOLY GRAIL, I wouldn’t be surprised if we ventured down that road very soon. JB: I just got my new previews book yesterday and saw that Cullen Bunn, who also does UNHOLY GRAIL, is also doing a new series called DARK ARK. Can you tell me a little more about that? MM: Cullen is someone that we first talked about collaborating with AfterShock right before the company was announced. So he’s one of the earliest people we were talking to. We really respect Cullen and the ideas he brings to the table. It took us awhile to find the right project with Cullen, but as luck would have it he gave us a whole bunch of things to choose from. The two projects which rose to the top immediately were both UNHOLY GRAIL and DARK ARK. UNHOLY GRAIL comes out in two weeks and we are excited about that, but the advanced buzz on DARK ARK has been nothing short of impressive. I think that boils down to just what a unique and simple concept DARK ARK is at its core. As soon as we announced it I had about 20 different creative friends in the industry e-mail me and say, “Holy *%*% I can’t wait for this to come out. Why didn’t I think of this concept first?” So there’s kind of that friendly jealousy from a lot of different writers and artists out there that Cullen was able to develop this fantastic idea into a comic book concept. JB: Also while looking at this month’s previews, I didn’t see a solicitation for pestilence for September. Has it been delayed? If so, how as an indie publisher do you handle delayed comics? MM: PESTILENCE has not been delayed. What we do is we like to stick to our promises. When we say we have an issue coming out on a certain date, we feel we owe it to the retailers and readers to stick to that date. What we do is we occasionally will schedule what we call a “skip month” for certain series. Something like PESTILENCE we may take a month off and allow the artist to catch up. We’re more focused on quality and we would rather give the artist an extra week or so to really do his or her best work. And we can get it out to the retailers and readers on the date that we promised. So occasionally we will strategically place in a skip month for some of our titles that might need to catch up. JB: You’ve got a great roster of current writers: Bunn, Donny Cates, Bennett, etc) and I don’t know if you’re allowed to comment on this, but are there any writers that you’re a personal fan of that you’d like to work with in the future? MM: Our doors at AfterShock are always open to a lot of the great creators out there. I think many of the people I worked with in the past I’d love to work with again. I fully understand a lot of them are occupied and have their dance cards full, but working with people like Rick Remender, Scott Snyder, Jeff Lemire, Grant Morrison, these are all people that I loved working with in the past and would certainly welcome the opportunity to work with them in the future. MM: You know we’re kind of exploring that territory, feeling the boundaries, and testing it out. Like a lot of people in the industry sometimes we feel they’re really cool and worth doing. Other times we see where the abuse of variants can kind of move readers opinions in the other direction. For now we’ve kept it fairly conservative. We like doing either a variant cover or a split A/B cover for our first issues. 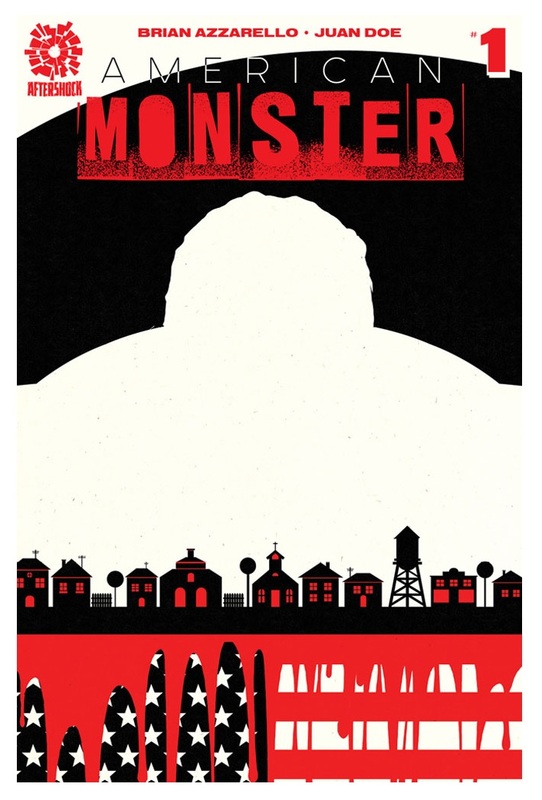 Maybe occasionally we’ll do a variant for something special like Halloween or something like that. So it might depend on the occasion or the project. We also have a very exciting retailer incentive cover program. That’s been really good for us and most especially the retailers we work with. This we can do on a case by case basis. If a retailer feels that they can do something special with one of our debut launches and do their own cover, then that’s a great partnership. That’s something that can really strengthen the bond between publisher and retailer. JB: As someone with a background in public relations and social media, I feel that Aftershock really understands the importance of both. Can you tell us more about the importance of Retailer/Fans relationship manager Lisa Wu and her importance to AfterShock? MM: Lisa was already active in social media prior to joining AfterShock, and that’s what brought her to our attention. She not only had great penetration in the marketplace and the ability to get out to so many different people, but she was able to do it in a way where she had her own identity. It was a positive, enthusiastic, and energetic type of energy. I think the industry has seen a lot of negativity in the past few years. With all that negativity around I think it’s very important for a publisher and especially for a social media representative to maintain that positive, energetic, enthusiastic attitude towards the books and the industry. That’s one of the big reasons we all got into it in the first place, because it was such a fun and entertaining place to come and read and play. Lisa has that in spades and she has been such an important part of Aftershocks’ growth. She’s very much expanded our outreach to retailers and strengthened our bonds and relationships with all those retailers, and the fans alike. She’s been very important to our growth and development. JB: AfterShock is also very aggressive in your digital strategies and expectations. What are your thoughts on the future of the comics digital marketplace? MM: It seems wide open at the moment. I think there’s a lot of growth that we’ll see, that we as an audience, don’t even fully understand or realize yet. 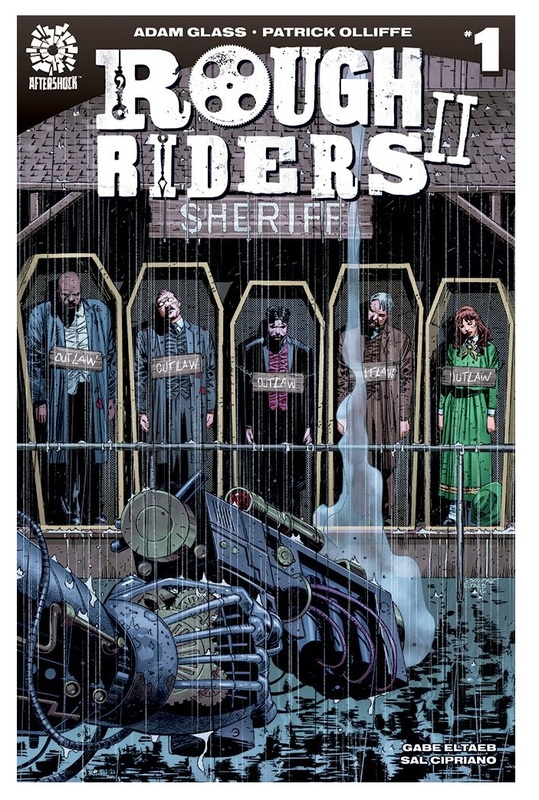 So far we’ve certainly taken advantage of our partnership with Comixology. We’ve been aggressive with our own webstore and web presence. I think it’s just the tip of the iceberg. I think that over the next few years we’ll see many more exciting developments in the area of digital. The fact that we have members of our staff that are very skilled in that area is going to help us out a lot. JB: You and I have something in common, in that we’ve both worked at comic book shops (shout out to JAF Comics in Bethlehem PA!). Would you mind telling us how working in a comic book shop benefited you working in the industry? MM: Sure. I think that retail is a great place for anyone in the industry to start. The daily interaction with the readers: getting to know their habits, their personalities, their likes and dislikes, it’s all extremely important information that can help you as a publisher or an editor later in your career. Working at a comic store for three years in my early career was very important in how I approached putting together comics, what type of talent I would approach, and what type of projects I would try to develop. All of that was aided by my years in retail. MM: For any area of comic books you certainly need perseverance. Though it seems big, it’s a relatively small industry. There are many, many people trying to get in, and realistically there are only so many spots. So it’s extremely competitive and you need to be able to fight. You need to be able to get back up when you get knocked down. If you’re in this industry and you survive in it you’re going to develop thick skin. So you have to be able to roll with the punches. It’s a long, tough road and it doesn’t end up being for everyone. Because of all that, I think perseverance is probably the most important quality someone would need. JB: And finally, what would you say to readers who haven’t really dug into any AfterShock titles yet? What would you say to bring them to the publisher? MM: With AfterShock we provide something for everyone. 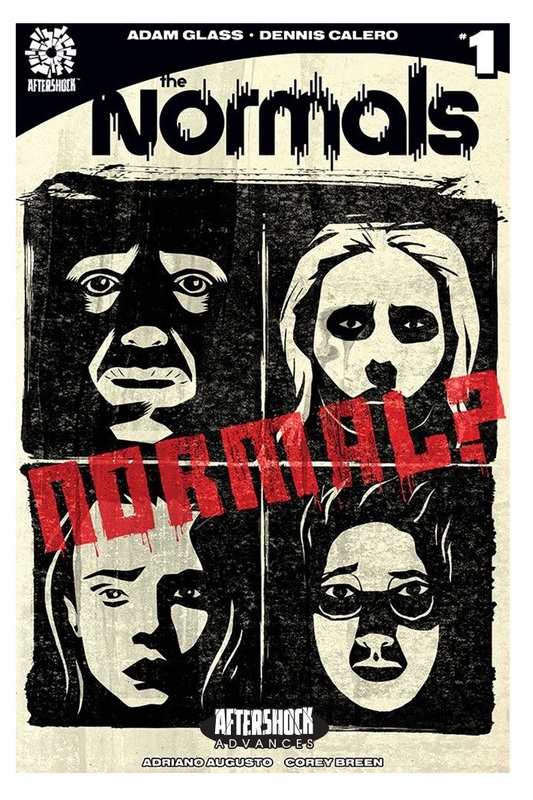 If you’re a fan of horror comics, we have it. If you’re a fan of crime comics, period pieces, action- adventure, or science fiction, we have a little bit of everything at AfterShock. I think that in this day and age the majority of the publishing may fall under what’s qualified as “superhero” comics. We provide, in my opinion, the best alternative to superhero comics. Any type of reader out there who’s interested in any of the genres I’ve mentioned, we’re the place for you. 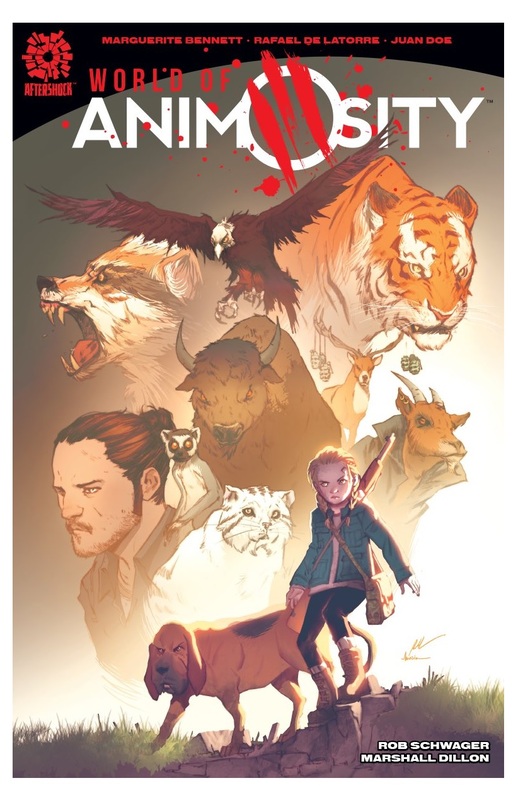 JB: You can find out about all of AfterShock Comics here! Justin Burkhardt can be found @justinburkhardt on Twitter.